I’m back in England and I am now starting to focus on the winter racing calendar. I have a 10k trail race in December, the Trigger Race in January in the Peak District and a fortnight after that, the Marmot Dark Mountains – an overnight mountain marathon. 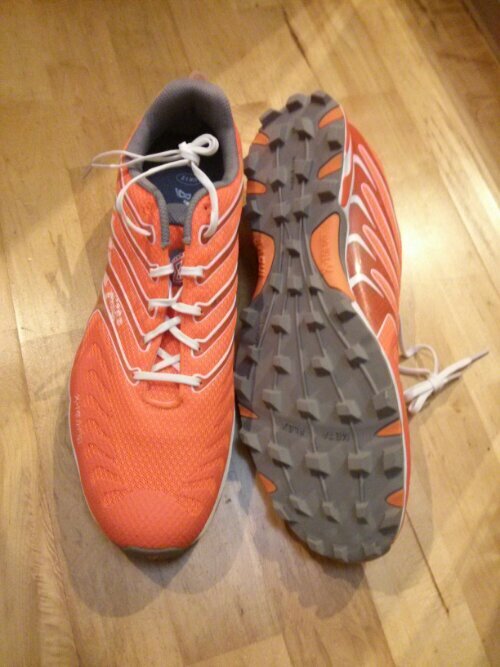 I have also succumbed to retail pressures and bought yet another pair of Inov-8 shoes. This time the X-Talon 190s, to replace my ageing Mudclaw 333s. That’s my fifth pair of trainers this year and my third pair of Inov-8. What can I say – they do good shoes! For anyone looking to buy the X-Talon 190s, I found the fit to be quite snug compared to the Mudclaws and the F-Lite 195s, so take that into consideration. True to the marketing hype, they are fast on trails, mud and grass. Unfortunately, I can feel them lose traction on wet tarmac, which I’m surprised about given the sticky compound used for the soles (but then again Inov-8’s website rates them 2/5 for hard surfaces). Hopefully I shall get a good season of off-road racing with these. Inov-8 X-Talon 190s: Lightweight uppers combined with winning X-Talon soles. When I’m not racing, I’m organising a small mountain challenge in England in a few weeks – I’m keeping a close eye on the weather and making adjustments to plans to make sure the competitors will have the right kit and support. I also have a ski trip lined up, during which time I shall also do some training for the mountain marathon with my race partner.